In the darkness of winter it started as a seed in my back porch. It grew and was eventually planted outside where it was watched by many. It is said it takes a village to raise child, well this pumpkin became this neighbourhoods child. It turned green and continued to grow. Everyday it was a joy to go to the garden and check in. Many times we were heard to say “I swear it got bigger overnight!”. And it did get bigger. And then it started turning colour and I could look out in the morning and see children on their way to school stopping to see what it looked like that day, and then again on their way home to see if it had changed. It became an iridescent shade of orange and it was protected from neighbourhood predators. 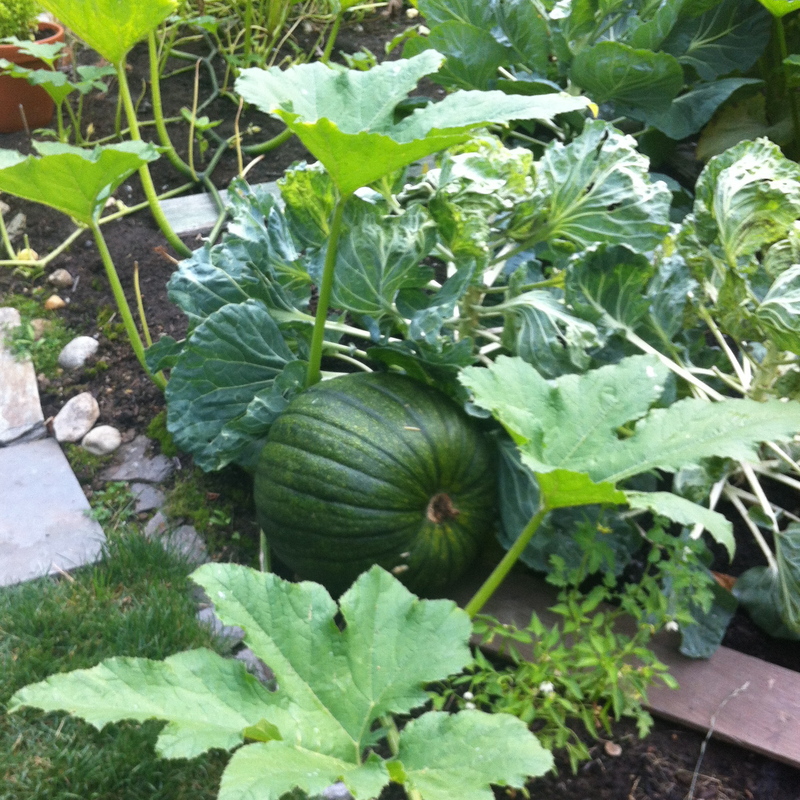 Pictures were sent to people who wanted to see how “their” pumpkin was doing. But as with most things the time came for it to move on. 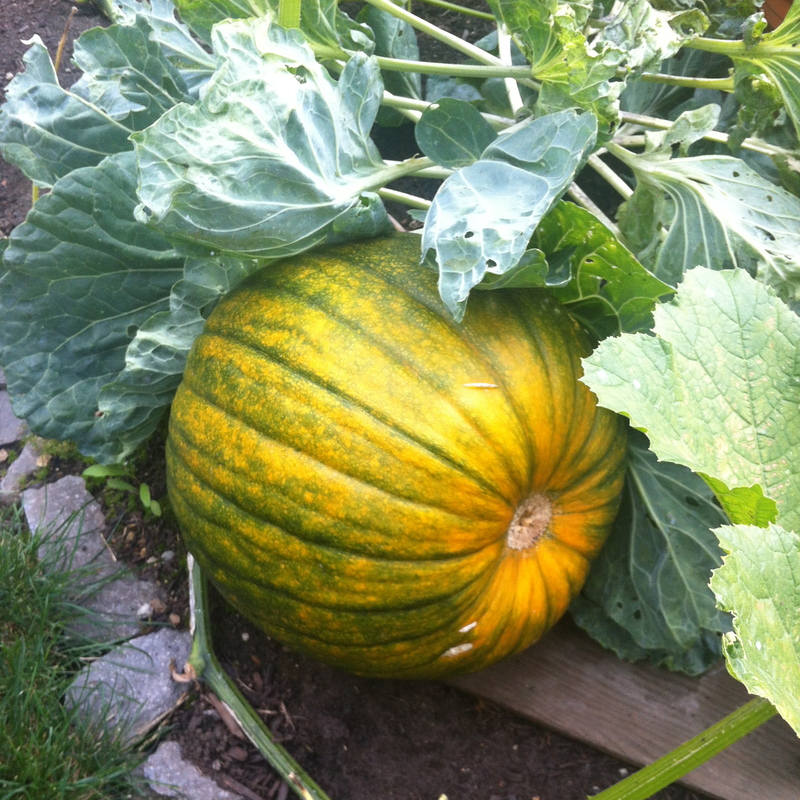 So on a sunny Thanksgiving weekend, surrounded by kids we picked the pumpkin. We brought it inside and we debated. 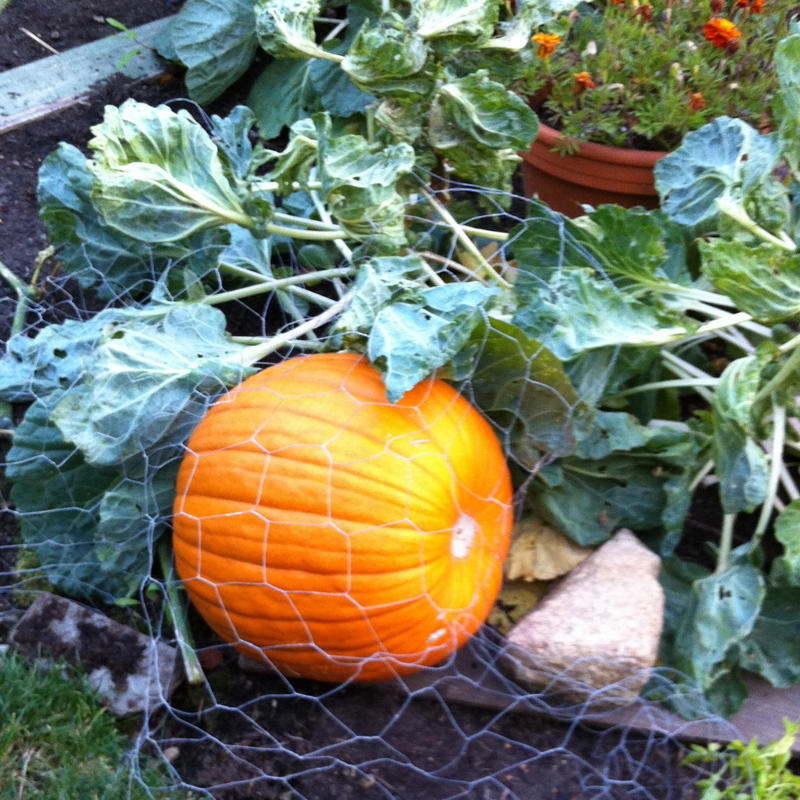 Is this our Halloween pumpkin or do we eat it? Eventually it was decided it would become this years jack o’lantern. And so it did. 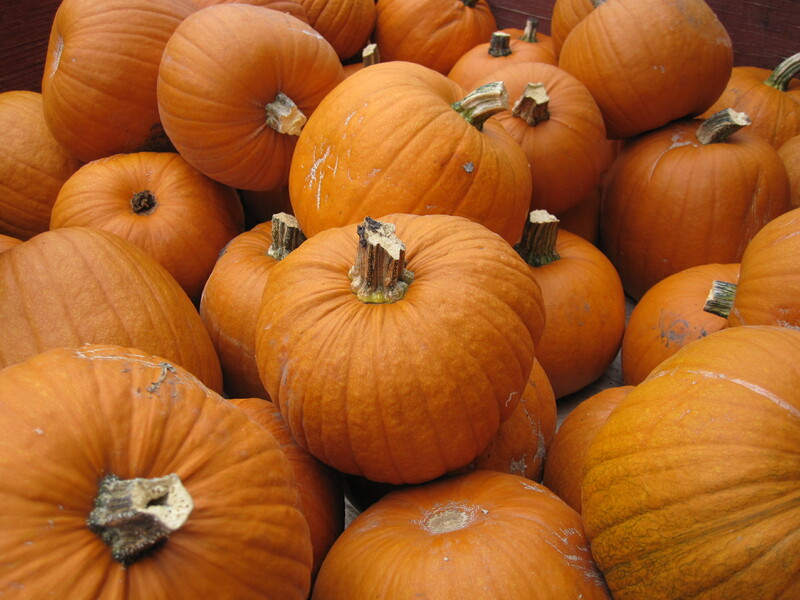 It was carved, its seeds were roasted and enjoyed, and then, with a candle inside of it, it welcomed the neighbourhood children as they came up the stairs on All Hallows Eve. If there is a circle of life, I would say this pumpkin lived a good one. 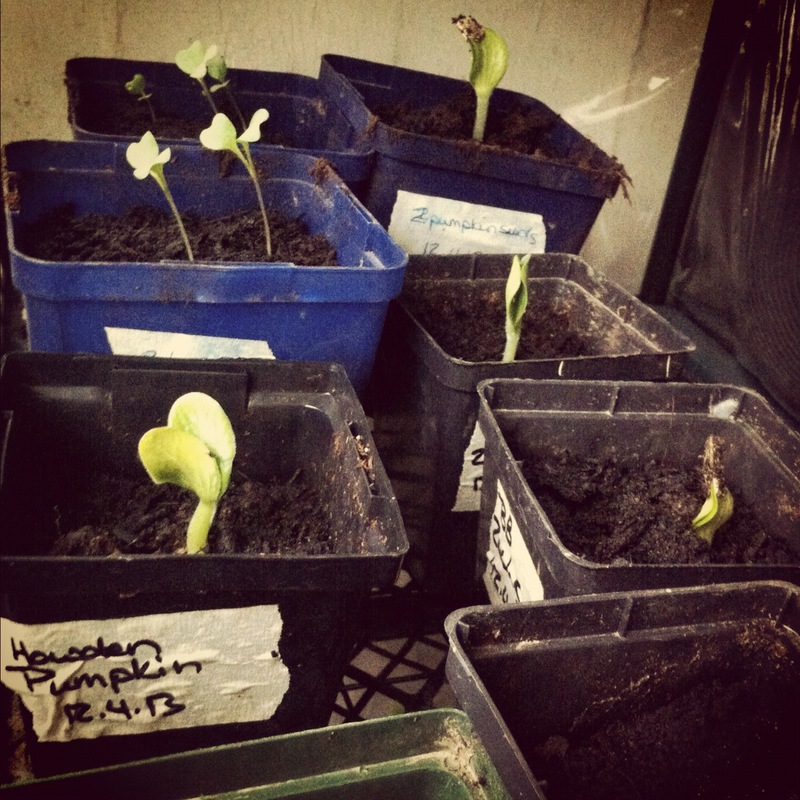 This entry was posted in Friends, Gardening, Recipe and tagged community, garden, life, pumpkin, pumpkin seeds, seeds, showtunes, vegetables by mostlynoodles. Bookmark the permalink. Awesome post. Love the pumpkin. 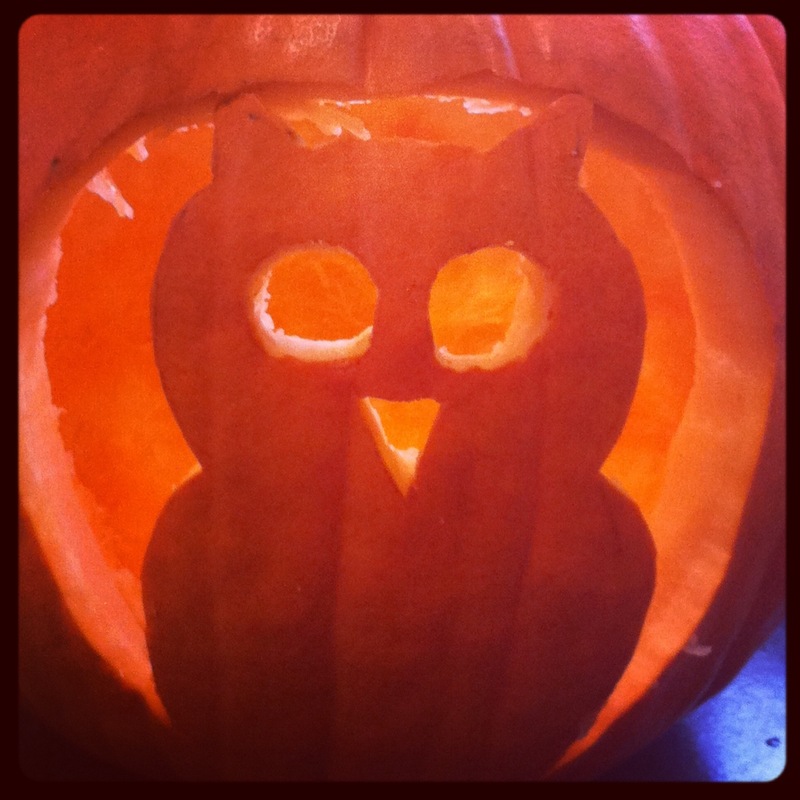 I feel I have a personal stake is this pumpkin story-loved it and great carved pumpkin! It was partially your pumpkin!